Taking place in The Scarecrow Village on Tuesday 30th July from 2-6pm, this is a FREE EVENT and is always a big hit. If you and your kids are looking to beat out a crazy rhythm then the drumming workshops in The Scarecrow Village could be the place for you. Catering for all ages including adults, teens and children, the workshops are scheduled during the day in succession and normally last a half hour, just in time before the straw starts to fall off your hands. Participants are introduced to the African Djembe Drum and taught fairly quickly in a fun way how to create music and connect with each other – without the use of a mobile phone. 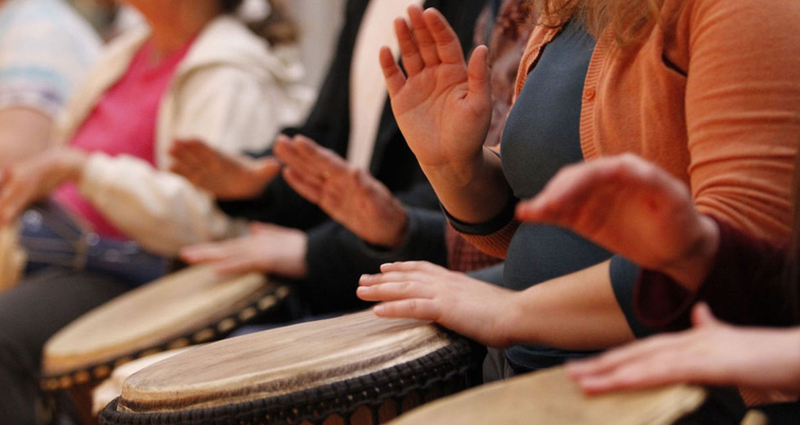 Within 10 mins everybody will be clapping and playing along to a groovy beat and experiencing the power of the drum within a group setting going through a series of songs, beats and actions. Fun and humour are a big part of these workshops, so get along and drum up some fun and good times!! !